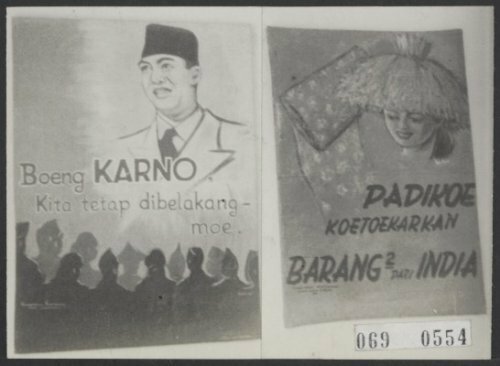 “Brother Sukarno, we stand with you"
21 September 1945. Australian troops occupy Makassar as they fan out across Eastern Indonesia and accept the surrender of Japanese forces. Ambon follows next day while Kupang and Banjarmasin were liberated the previous week. Generally the Australians are warmly welcomed, the Dutch NICA officials who accompany them sometimes less so. In Makassar, attempts to bypass the Republican governor and organize pro-Dutch militias quickly lead to violence. 21 September 1945. Although Cambodia has recognized the newly established Democratic Republic of Vietnam since its inception and allowed it to open a mission in Phnom Penh, a more formal anti-French agreement is now mooted between the two countries. However, talks between Cambodian premier Son Ngoc Thanh and representatives from Saigon’s Southern Provisional Administrative Committee quickly break down. The reason is Thanh’s unexpected demand that the Cochinchinese provinces of Tra Vinh and Soc Trang, which have high concentrations of Khmer, be ceded to Cambodia. (Thanh himself is a Khmer Krom from the region.) Demands for annexation or at least greater autonomy have also been aired across the lower Mekong delta in recent weeks by local Khmer. Tension is high and sometimes flares into violence between Khmer and Vietnamese communities in both Cochinchina and Cambodia.